If you are looking for a comprehensive collection of credit repair sample letters, you have come to the right place. This useful guide will navigate you through several credit repair strategies. We will give you tips on when and how to use them. We will also give you links to sample letters and templates you can use to get started. Credit reports and credit scores are designed to help lenders make informed decisions. They do this based on your established credit history. However, today’s digital world is subject to hacking, identity theft, and all kinds of electronic data mismanagement. Those things can significantly distort the true picture of what you look like as a consumer of credit. Whether you believe your credit report to be “healthy” or “sick,” you should always review your credit report at least once per quarter. Take any actions that you deem appropriate to ensure that your own creditworthiness is being reported accurately. This may seem like a decent amount of work initially. However, educate yourself on what problems to look for and how to fix them. It will quickly become an easy and efficient process. It can also make a world of difference any time you apply for credit. Before you even attempt to review your credit report for the first time, you should take the time to read the Fair Credit Reporting Act (FCRA) Section 611 on the Federal Trade Commission website. This will give you a sense of what rights you have. It will tell you how best to approach creditors and/or credit bureaus with any perceived discrepancies on your report. You will find that there are several tools that can help you rectify any actual or suspected problems with your report. We are going to cover the most important ones in this article. We researched & reviewed the 5 best companies in the industry to help you dispute items on your report and improve your credit score. Do you suspect an organization is reporting something incorrectly to one or more credit bureaus. You can send them a credit dispute letter. that will require them to investigate and resolve your claim within 30 days. Anything on your credit report is subject to dispute: credit inquiries, collection accounts, and late payments. That includes anything else that might impact your credit score. When you identify a problem on your credit report, you need to build a compelling case to have the problem fixed or removed. Your credit dispute letter is essentially a summary of your argument. You should send it to the credit bureau along with any relevant documents to support your case. If your dispute is successful and they remove the item from your credit report, you will likely see your credit score improve in a matter of weeks. If they reject your dispute, it does not mean your quest for financial justice is over. In fact, your journey may be just starting. 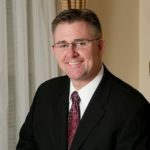 A method of verification letter is a logical next step when a credit bureau refuses to fix or remove a disputed delinquency. With a method of verification letter, you are asking for documentation that provides clear evidence that supports their decision. The letter should follow the basic format of a business letter. The tone of the letter should be “direct and in control,” while being careful not to seem rude or belligerent. You want the reader to know that you are fully aware of your rights under the FCRA. Let them know that you are not someone who is going to back down easily. You should ensure that your method of verification letter includes a clear demand for irrefutable proof that you took appropriate and reasonable actions in order to definitively determine whether or not your dispute had merit. You want to be able to demonstrate that the credit bureau either failed to conduct an appropriate level of due diligence, or that they in some way mismanaged the process, in the unlikely event that your case goes to litigation. A goodwill letter can be an effective way to improve your credit score, but it needs to be done the right way to have a chance. When you write a goodwill letter, you are essentially asking a creditor for a “break” on a reported delinquency. The most important thing to remember when writing a goodwill letter is that you are the one responsible for the delinquency that’s sticking out on your credit report like an open sore. This is not a time to lash out at the creditor or blame anyone else. With a goodwill letter, you need to take ownership of your mistake. Provide any evidence that supports the notion that this was a one-time incident. Show that it is not likely to happen again. Show (don’t tell) them that you learned from your mistake. Don’t be discouraged by certain creditors, like Bank of America, who claim they “aren’t able to honor requests for goodwill adjustments” because the Fair Credit Reporting Act requires them “to report complete and accurate information” to the credit bureaus. A quick search of the internet shows that people have had success writing goodwill letters to Bank of America, as well as many other creditors who claim to never honor such requests. A pay for delete letter is a negotiation tool that you use to remove open collection accounts from your credit report. With a pay for delete letter, you are essentially asking a creditor to agree to remove negative information from your credit report once you pay the debt in full or settled for an agreed upon amount. It’s important to know that collection agencies don’t necessarily demand the outstanding balance to be paid in full. They typically purchase the outstanding debt from the original creditor. They do that for some small percentage of the balance due. That is with the hope that they’ll be able to recover at least a portion greater than the amount they paid for it. If you offer the full amount of the outstanding debt, they are likely to be more receptive to working with you. If what you’re offering is less than what they paid the original creditor, they are probably going to be less likely to cooperate with you. A pay for delete letter may be a bit of a longshot, but if you’ve gone through all the other options at your disposal, it’s definitely worth giving it a try. Credit inquiries are in the categories of “hard inquiries” or “soft inquiries.” Hard inquires DO appear on your credit report. Soft inquires do NOT appear on your credit report. A hard inquiry is often the result of an application for a mortgage or an auto loan. You typically have to take some kind of tangible action to trigger a hard inquiry. Soft inquiries can happen automatically. It’s common for credit card issuers to scour databases in order to find pre-qualified customers to solicit. You may have soft inquiries happening every day and you would never know it. It’s important to note that not EVERY hard inquiry will appear on your credit report. If you are shopping around for auto loans, the bureaus will typically be able figure it out. If you have multiple inquires in the span of 90 days or less, they will only count it as one inquiry. Now that you understand what kinds of inquiries might appear on your credit report, you should look through your report to see if there’s something there to challenge. An example might be an auto loan inquiry that was just a few days or weeks past the “cutoff” date to not be included as part of an earlier “batch” of car loans. If you think this happened to you, it’s definitely worth your time to send a credit inquiry removal letter. 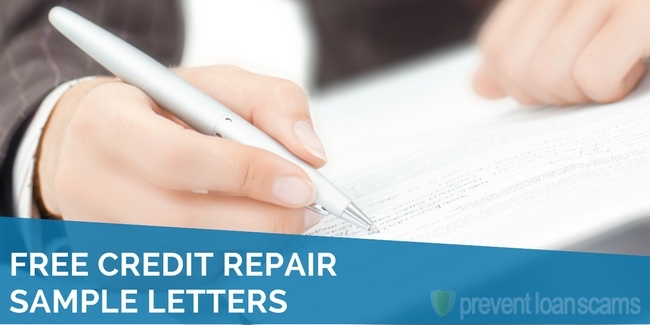 These letters are powerful tools that can help you improve your credit score. They can help you take control of your finances. Hopefully this guide provided you with an overview of how and when to use each of these letters. They can help you accomplish your financial goals. You should get into the habit of reviewing your report at least once per quarter. Go through every line item carefully. Circle each entry that you think might need your attention. If you never made the inquiry, you can pull up your credit inquiry removal letter and get right to work. When you find a late payment, a fraudulent account, or some other derogatory entry that shouldn’t be there, you should follow a logical sequence until the matter of resolved. Ideally, they will resolve it as soon as you contact the creditor, and they realize their mistake and remove the entry. If the creditor refuses to fix or remove the entry, you can pull up your credit dispute letter template. Go through the process we described. If that doesn’t work, you should go right to the method of verification letter. Just keep going until you either resolve the issue or there’s just nowhere left to go. If you determine that the entry really is legitimate, you don’t have to settle. It might be a good time to try a goodwill letter. If that doesn’t work you always have the pay for delete option. You should always advocate for your own financial reputation with all of the tools at your disposal. If you’re too busy to do it on your own, or if you face a problem that just seems too big to handle, you should look into hiring a reputable credit repair company. They have trained experts who know what strategies work best with all types of issues. They can save you time and money. My Ex went to bankruptcy with a vehicle I cosigned on. I know, bad move. My credit report states $120 past due in 2017. What is the best method to have this removed? I have hard inquiries from applications for credit cards and one for an application for a loan. Which letter is best appropriate to request that they be removed? Your info is quite helpful. Thanks for your advice. I have a question re: continuing to make payments on an account that has been charged off. Is it necessary? It’s a bank card. Thank you.